$10 online or $15 at the door! 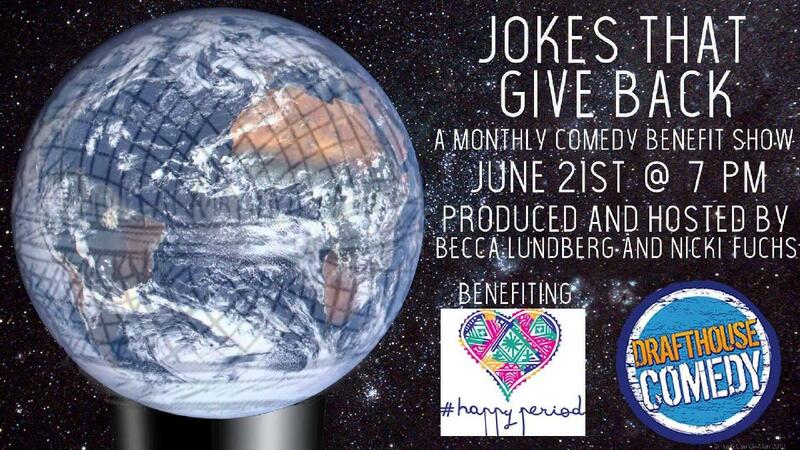 On the third Thursday of every month, Baltimore's Nicki Fuchs and D.C.'s Becca Lundberg bring you Jokes That Give Back: a standup comedy show starring stellar comics from the DMV and beyond dedicated to helping charities in the community. This month, the show is a donation drive for Happy Period, a group that provides menstrual hygiene kits to women in need.